The South Stack Lighthouse is built on the summit small island off the north-west coast of Holy island off the Isle of Anglesey. 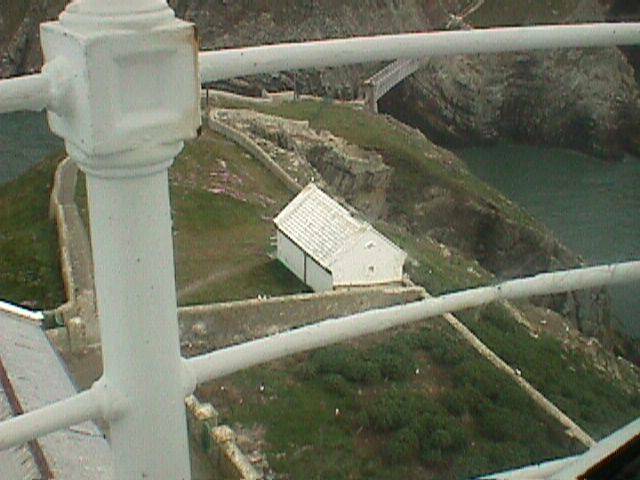 South Stack Lighthouse was built by Mr Daniel Alexandra (engineer) and Joseph Nelson (builder) in 1808-1809. As the picture shows Captain Hugh Evans accomplished his aim to have the lighthouse constructed, all starting in 1806 when he collected facts and figures on the relevant Holy Island coastline of maritime disasters for the next twelve months, producing them to the decision makers of the time in 1807. 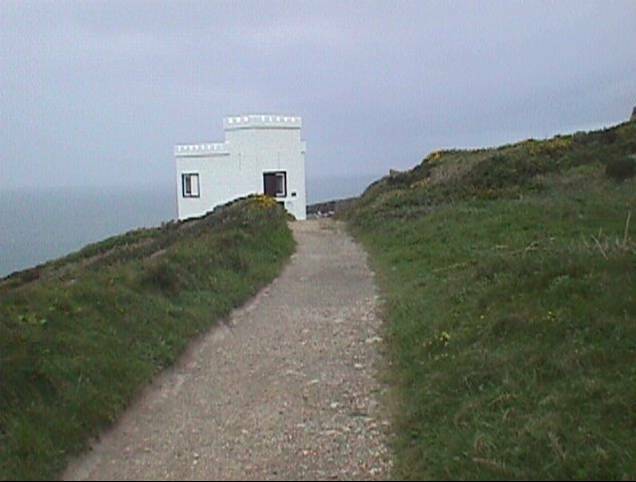 On this, 30-meter high summit built the now famous 27.7 meters high South Stack lighthouse. The construction of the pathway to gain access to the building site must have been a terrific feat alone, around 400 steps down the 122 meter Pre- Cambrian rock cliff face. Just for one minute imagine trying to carve a step out of solid rock then imagine trying to do the same to the step under the one you are standing on, looking down on a 122 metre drop to certain death, or being dropped off by boat to climb to where the next step was to be carved looking up at the never-ending sheer rock face. Captain Hugh Evans was not the first to realize the importance of a lighthouse at this point, the first representation for a light at this point was made 1665 to King Charles 11. This representation was rejected. Therefore Captain Hugh Evans had to prove this lighthouse was desperately required so he collected and produced to the government of the day all the maritime accidents around the coast over the previous twelve months, drawing diagrams and maps of these events. Such overwhelming evidence of the importance and necessity of the lighthouse was produced that the go-ahead to erect the lighthouse was sanctioned almost immediately. This construction of this lighthouse was to prove to aid the safety and prosperity of the mariners from all around the world even to this very day and for many years to come. The height of the light above the mean high water level is 60 meters. Not forgetting that the stone used to build the lighthouse had to be carved out of the cliff face, this also applied to the outbuildings, using only the technology of the day and carving the steps out of the stone by hanging from ropes. Even on a lovely day, it is a very dangerous environment, basically a mixture of determination blood and sweat that the construction was completed at the cost of £12,000 not including the attendant's dwellings. The lighthouse began to shine brightly on the 9th of February 1809. 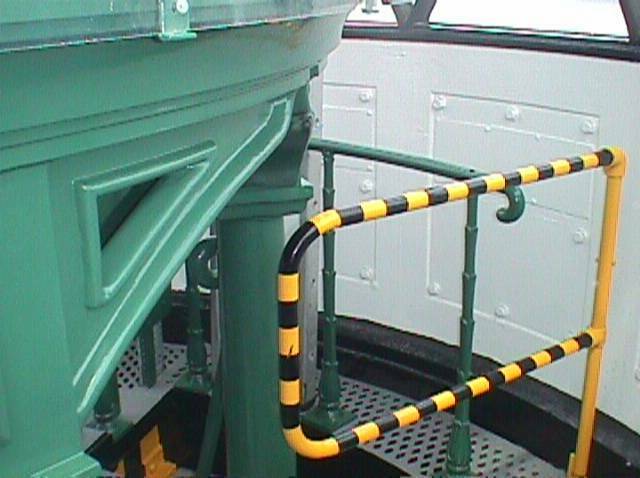 Looking at the safety rail at the top of the lighthouse lantern area the top of the lantern extends twelve foot from the gallery. 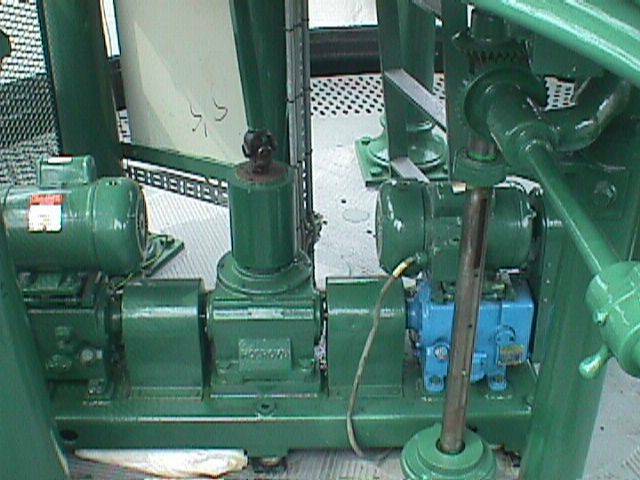 The equipment that drives the lenses around twenty four hours a day only a small motor is required due to the fact that the revolving lenses are perfectly balanced on rollers and maintained for the minimum of friction. A closer look at the rotation driver. 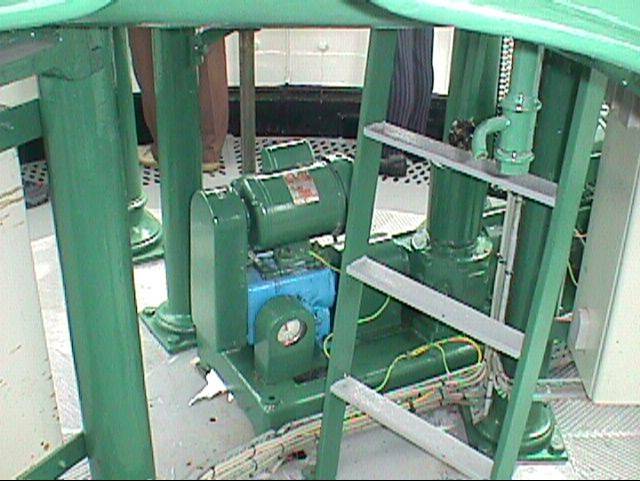 The lighthouse also hosts a fog signal emitter which sounds a 5 second blast every 30 seconds. This chasm was first traversed by cable around 20 meters above sea level for the lighthouse to be constructed which was also used until 1928. The stores and fuel were motioned across in a sliding basket until the iron bridge was constructed in 1928 then again superseded by an aluminum bridge constructed in 1964, and again by the bridge, you see here today built in 1997. As you can see the suspension bridge was constructed to be very strong to withstand horrific weather conditions durable and weather resistant built by Laings/Mott Macdonald in 1997. After crossing the suspension bridge walking the path to the lighthouse tours are given by a very helpful Trinity House representative and a local council representative not forgetting the R.S.P.B. of course who are very knowledgeable about our feathered friends. 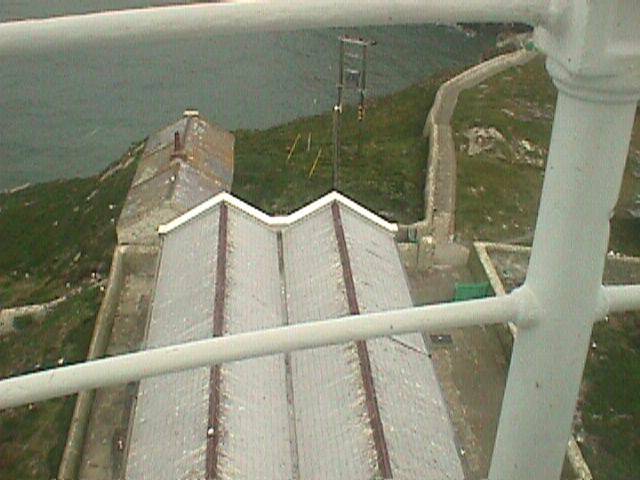 Looking through the safety rail on to what used to be the living quarters of the lighthouse keepers up to September 12th 1984 when it became automated. The height of the light above the mean high water is about 60 meters. The Optic is 1st order catadioptric. 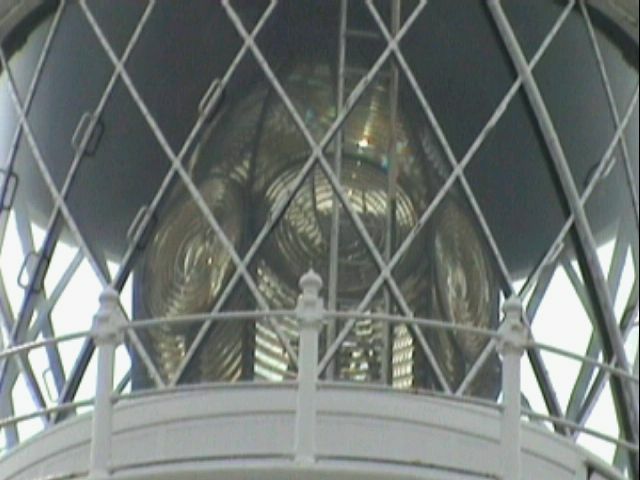 Pictured is a close up view of the exterior of three the lantern lenses. Here we have a picture of one of the magnification lenses. This extremely powerful magnified optic lenses has a range of 27 sea miles. An iron suspension bridge was built in 1928 then Aluminium suspension bridge was built in 1964 and the present bridge in 1997 to span the 30-metre chasm around 20 meters above the sea level dependant on tides and weather. 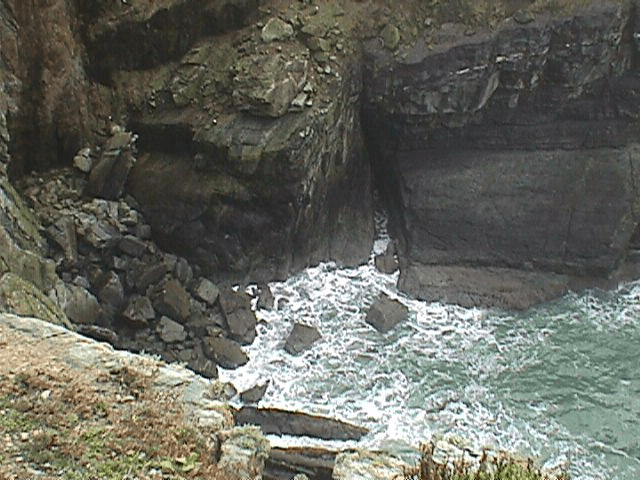 The Steep rocky cliffs of South Stack Holyhead mountain and surrounding area are mainly made up of minerals called Schists such as the rock surrounding South Stack also white quartzite which is the main component of Holyhead mountain. Why might one asked is it necessary to have the light lit on a very bright and sunny day? Well, it must be kept in motion working 24 hours a day otherwise sunlight would cause damage to the very highly magnified glass. Sunlight could cause the lighthouse damage as if using a magnifying glass to start a fire. 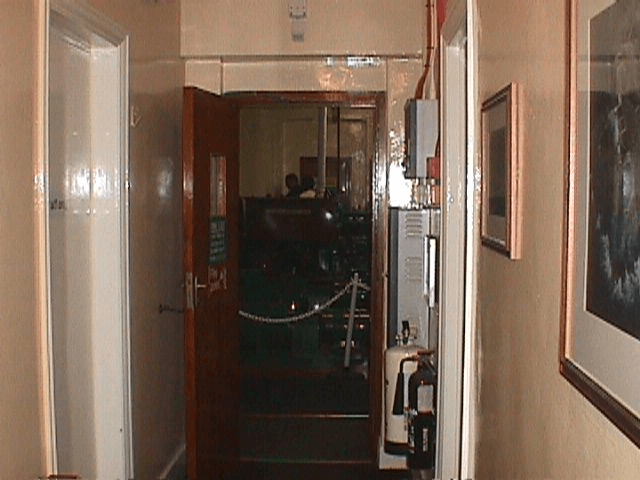 The door way into the living quarters at the base of the lighthouse. 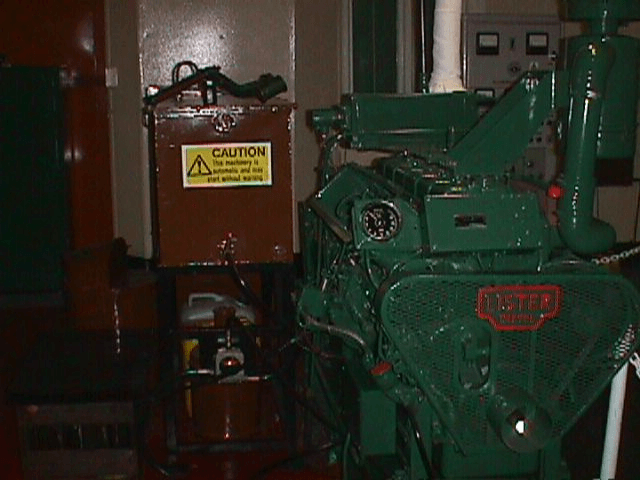 The old living quarters are now used as exhibition rooms for the now no longer required essential equipment of years past electrified in 1938 and automated in 1983. 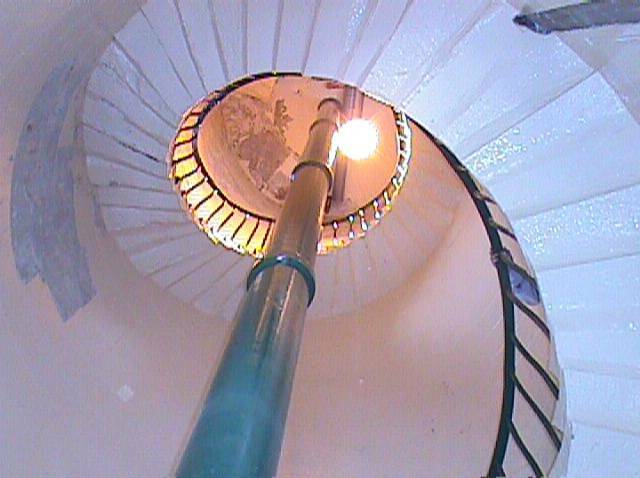 Viewed from the inside base of the lighthouse with its steep scary steps (not for the faint hearted). This tower was conceived and commissioned by Mr. William Owen Stanley of Penrhos who was a renowned Minister of Parliament, a large landowner, and archaeologist. During the second world war, Ellin’s tower was no longer used and therefore fell into disrepair roughly around the early part of 1940. It became the centre of archaeology during the 19th century because so many historical artefacts were being found in this area bearing in mind the hut circles just down the road dating back to the second to fourth century A.D. 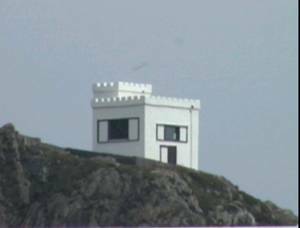 The Royal Society for the Protection of birds first realised the potential and the importance of Ellin’s tower together with the surrounding naturalist environment for preservation and observation of birds in 1977. The Royal Society for the Protection of birds acquired the 780-acre site from the local county council in 1980. 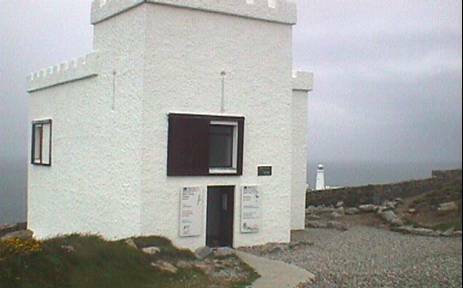 The refurbished Ellin’s tower was opened to the public by The Royal Society for the Protection of birds in 1982 as an observation point which remains open today. After the acquisition of the tower in 1980 Ellin’s tower underwent extensive restoration and refurbishment which took around two years.